USB Memory Card Recovery software is developed with wide collection of robust and advanced programs that find each and every important file of yours that lost or deleted on the USB device and then recovers all the lost files in less minutes. You might have come across few data lose circumstances such as Shift + Delete key, file system corruption, using third party utilities, during copying files, strong malwares in USB or PC, due to power cut, Recycle Bin exceeds, Emptied Recycle Bin and some other similar kinds of reasons for data lose. Now USB Memory Card Recovery software is the best solution to recover all your significant files by hitting just few mouse clicks. 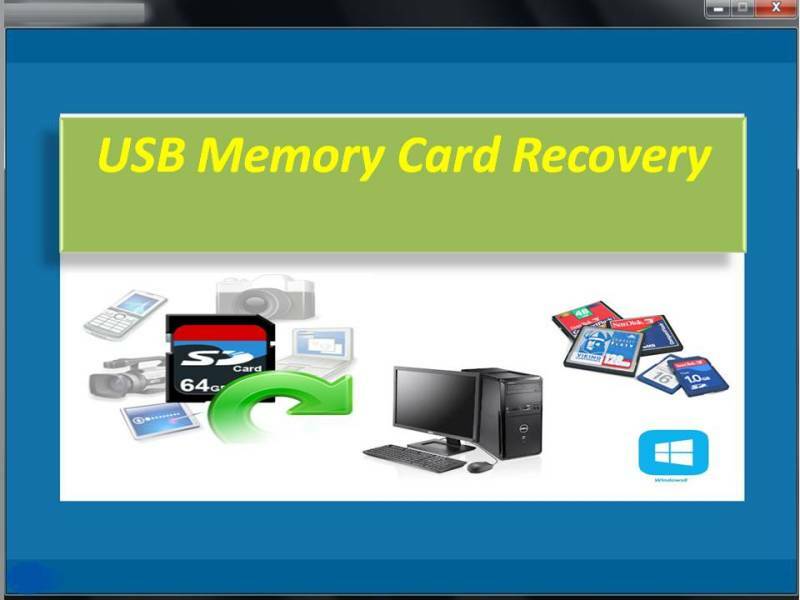 Similarly, you can come to know more features of USB Memory Card Recovery Software app on our web site. You can free evaluate this software features by downloading its demo version and to save your important files that restored by the tool you need to buy full version. In case of any questions or doubts regards installation or recovery, you may drop a mail.